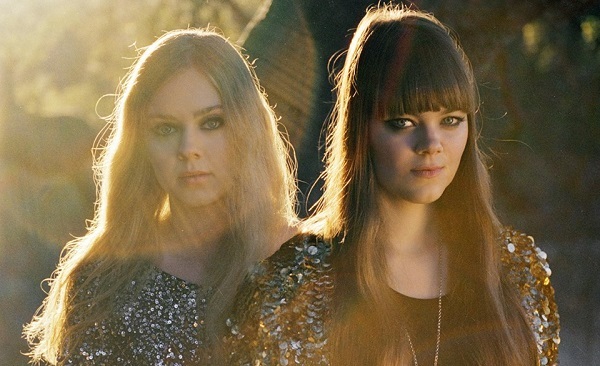 Stockholm’s First Aid Kit have already given fans one track off their upcoming album, and “Cedar Lane” marks number two. There’s even a video to go along with it. “Cedar Lane” is the second single off Stay Gold, which Columbia Records is dropping June 10. It’s coming a couple years after First Aid Kit’s last record, The Lion’s Roar, and was produced by Bright Eyes’ Mike Mogis. As for the video, it plays like a ‘70s home movie featuring the Swedish sister duo. The songbird like folk plays well with the various clouds of color that fade in and out. There’s not a lot of action, but it’s visually a charm. You can check out First Aid Kit’s “Cedar Lane” video after the jump. I’m liking the 70’s colorful summer vibes in First Aid Kit’s Cedar Lane video. Can’t wait for Stay Gold out June 10! First Aid Kit is such a fantastic act. I’m so stoked that they’re releasing new material, and it’s just as good as their past releases! Between “Cedar Lane” and “Silver Lining,” ‘Stay Gold’ is going to be such a great album.